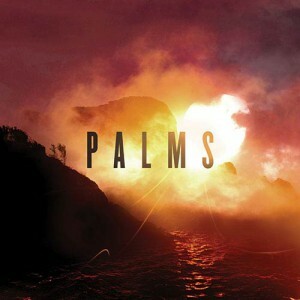 Palms is a post rock/shoegazer super group made up of Deftones singer Chino Moreno and 3 members of Isis. The first thing you’ll notice about all of the songs on their self-titled debut is that they all lack hooks and grooves to grab your attention. Instead they rely on lengthy guitar soundscapes that focuses heavily on layering shimmering clean guitar tones alongside their fuzzed out counterpart (that sometimes boarder on becoming blue noise) with Chino Moreno’s ethereal voice sitting comfortable in the middle of it all. Unfortunately the soundscaping that Palms indulges in also happens to be the major pitfall of the album. It becomes apparent early on that the songs lack definition and given that the song lengths average out at almost 8 minutes each, there is little variety and ever fewer memorable moments. This becomes frustrating when the songs sound like they are building up to something but then nothing significant happens, resulting in some rather lengthy songs that don’t appear to have any real momentum behind them. Sadly the album isn’t what it could have been and while Palms have a lot of style in their well-crafted ambience, they lack the substance in the song writing department that makes an album memorable and engaging. If you hear a single song from Palms then you’ve heard the rest of the album. Stronger song writing would have given it the potential to be a sonic masterpiece but the lack of variety is what holds Palms back.